I met Santy waiting for my shuttle bus from Panajachel to Antigua, Saturday 25th of February. I was waiting at the entrance of Hospedaje Santo Domingo where I was staying and he was helping an English couple getting into their own shuttle. After theirs came, Santy stayed with me for about half an hour (yes my shuttle was late, Guatemala style!) and I ended up asking him a bunch of questions about his culture and his background. Here is the story of a young 20 years old Mayan born and raised in Panajachel. How long have you been working for Servicios Turisticos López ? Almost 3 years already. I love tourism, I love meeting foreigners from all around the world. It is so great to offer them the best service. Because the day you fail you know they will write a bad review so my job is to make sure that they love the experience with me and our travel agency. Cuanto tiempo tienes trabajando por Servicios Turisticos López ? Casi 3 años. A mi me encanta el turismo. 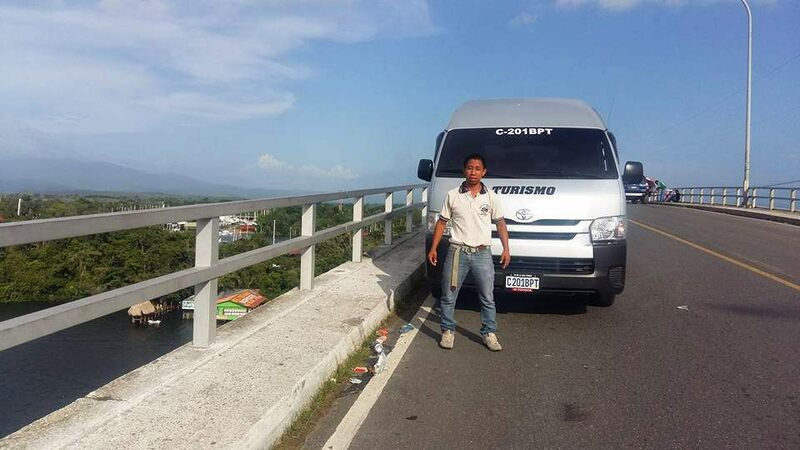 Me encanta los extranjeros, platicar con ellos, servirle, descubrir de donde vienen, adonde han ido en Guatemala y por donde van. Ya se que si no son satisfechos los turistas van a darnos malas recomendaciones entonces necesito ofrecerle el mejor servicio que sea. No I just worked them, I always knew I liked it so I just started to work at the travel agency and here I am! Lo estudiaste el turismo en la escuela? No! Na mas siempre sabia que me encantaba el turismo y fue lo que querria hacer. Entonces me puse a trabajar y ya estamos! What’s the most popular nationalities you’ve seen lately? A lot of Israeli. Also Italian, French, American and Asian. Cuales son las nacionalidades que mas han visto esta temporada? Muchos Israelí, también Italianos, Franceses, Americanos y Asiáticos. 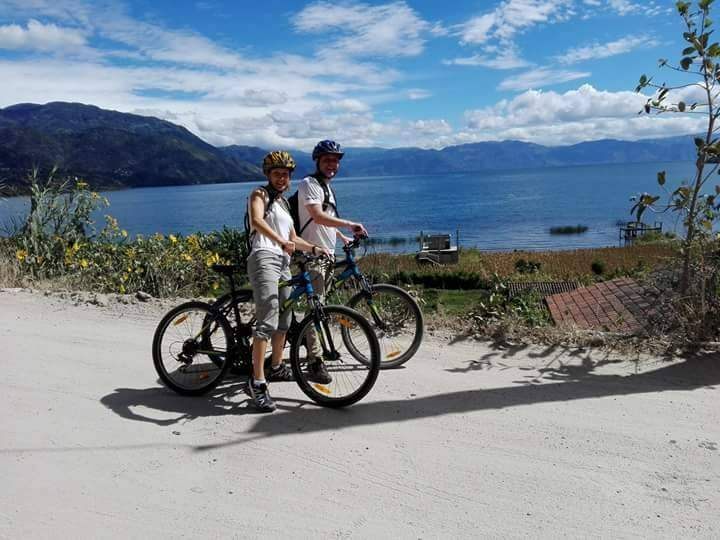 Is there a High and a Low season in Guatemala for tourism? Yes we are currently in the High season. Summer for us is low season because of the rain season. Currently February is a “crazy” month for the weather. It can be hot and cold in the same day, especially after sunset. High season is from October to March and Low Season from April to September. Tienen Temporadas Alta y Baja en Guatemala para el turismo? Si ahora pronto se acaba la temporada alta. En verano es temporada baja para nosotros por la lluvia. El mes de Febrero es un mes "loco" porque hace calor por el dia y frío por la noche sobre todo despues del atardecer. La temporada alta es de Octubre hasta Marzo y la baja es de Abril hasta Septiembre. Do you speak kakchiquel (Indigenous Maya language)? I do speak kakchiquel but I can’t write it sorry. We use maya for tourists not to understand us! We say ütz awäch? for how are you? Hablas kakchiquel (el idioma Maya)? Si pero no se como escribirlo perdón. Hablamos maya entre nosotros, igual para que los turistas no nos entiendan a veces! Por ejemplo, ütz awäch quiere decir como estas? 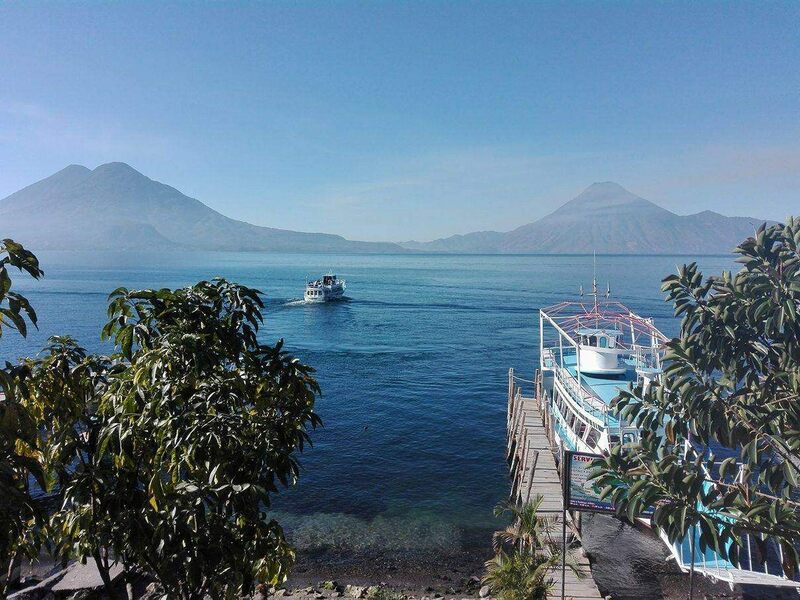 Have you traveled around Guatemala yourself? Yes I have but not as much as you!! I have been to Antigua (because of work I’m there all the time), Guatemala City (but I don’t really like it, it does not feel natural for me to go there, too many people and it’s not safe they say), Semuc Champey (I love it) and Livingston. Has visitado otras partes de Guatemala? Si pero no tantas como tu! He ido a Antigua (bueno por el trabajo obviamente), la Ciudad de Guatemala (pero no me gusta mucho, hay demasiada gente y aparte no es natural para nosotros irnos ahi), Semuc Champey (me encanta!) y Livingston. What’s your favorite place in the lake? 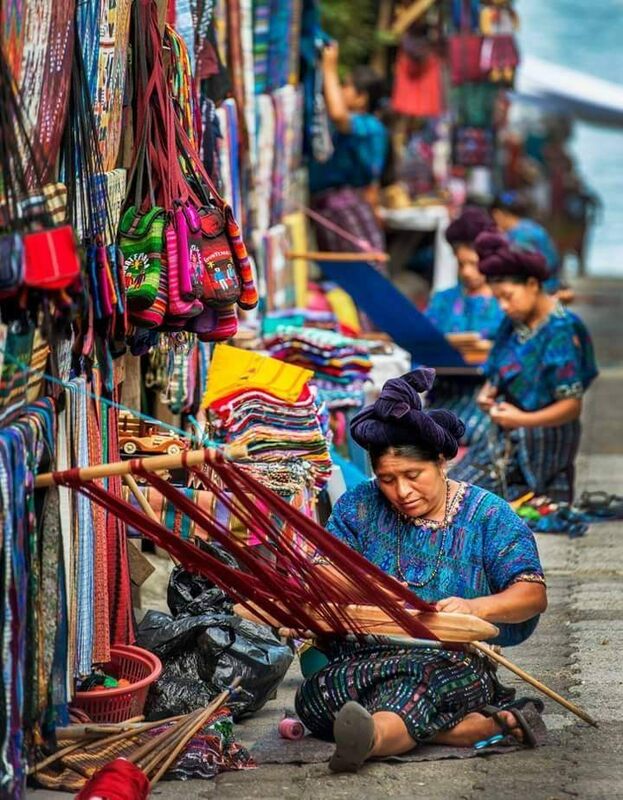 Santiago Atitlan for the culture and traditions. Women and Men have the most beautiful costumes. It’s just very different from the other villages of the Lake like San Pedro or San Marcos. 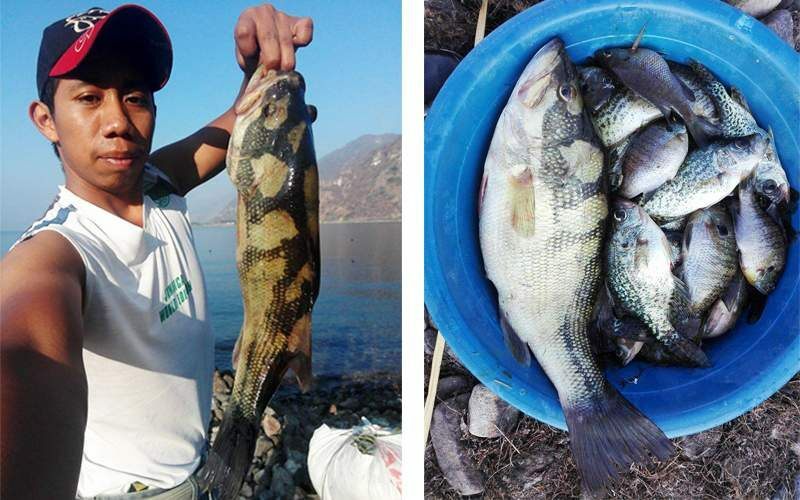 Cual pueblo te gusta más en el Lago Atitlan? Santiago Atitlan es lo mas bonito para mi. Por la cultura, Los trajes de las mujeres y de los hombres. Es otra cosa y nada que ver son San Pedro o San Juan! Time to go back to work, whilst Santy was waving at everyone passing by that road for the last 30 minutes, he calls my travel agency to find out where they were and finally jumps into a tuk tuk and says goodbye! Selfie mode before we go! Hasta Luego Santy y gracias por todo!